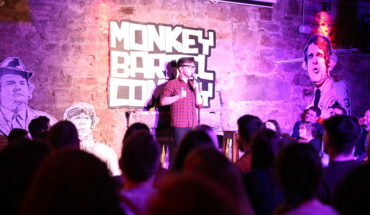 Comedy nights in the Granary Leith bar take place on the last Friday of every month. 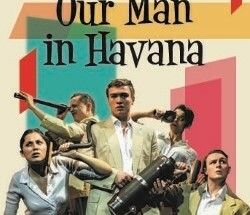 It’s a relatively new affair run by performer and compere Paul McDougall. Due to the Leith festival taking place this week Paul ran an additional evening to coincide with other similar events taking place during the festival. My partner and I decided initially to take advantage of the facilities and have some dinner in the Granary club itself. 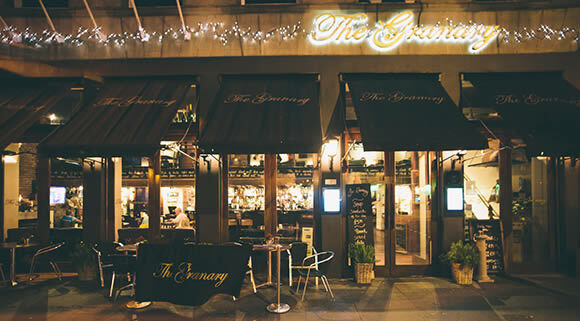 If you have never been to the Granary then I highly recommend it, its setting on the Shore front creates a genteel vibe and unlike other smaller bars in the busy Leith circuit the large seating area and expansive bar help to create a more easy-going and relaxing feel to its contemporaries. 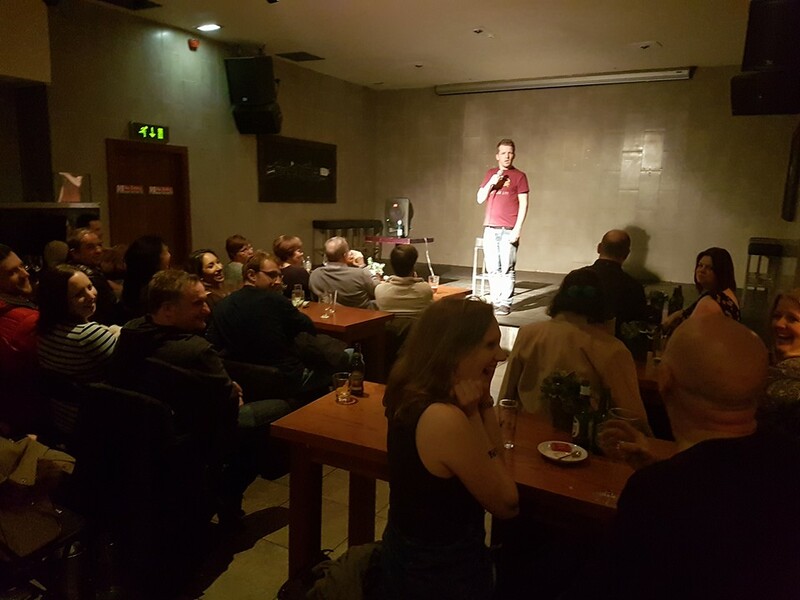 Upstairs in the gig, Paul carries his enthusiasm and charisma through his act by speaking to each audience member in turn, and having a chat with them whilst riffing some comedy on the answers he receives. 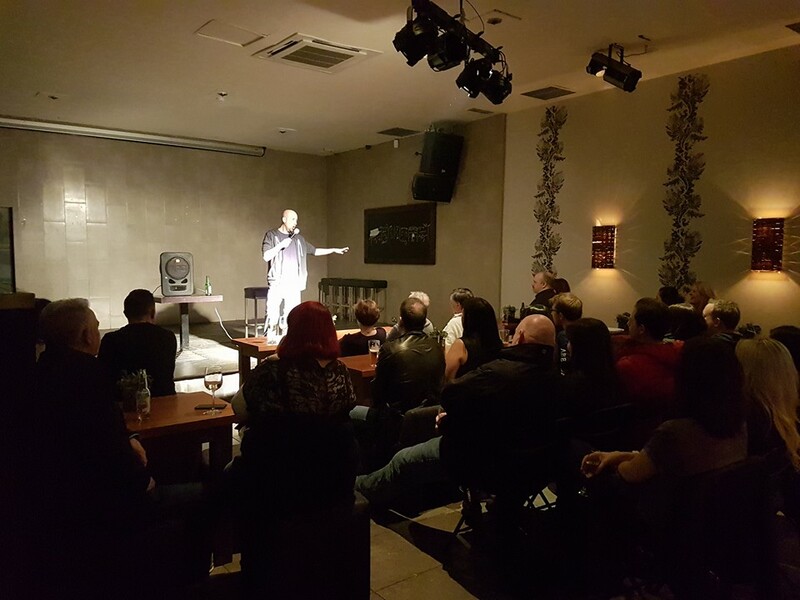 Often when comedians go down this route it’s an opportunity for cruel gags at the audience’s expense but Paul keeps it friendly, creating a homespun atmosphere which encourages a relaxed vibe throughout the gig. Three acts followed before the headliner took to the stage. Bruce Fummy introduced himself as the leading Afro-Celtic comedian on the comedy circuit before admitting he’s actually in a field of one there. 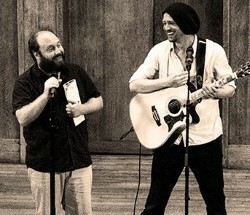 Gentle routines about being a mixed race Scotsman were well received. Jay Miles’ sedate deadpan delivery has some very cunning one-liners, comedy with a lot of thought. Thomas Black looks like a young Frankie Boyle and has some material that he could really work with to be a success. The headliner is Jo Caulfield, as seen on TV shows regularly over recent years, which for a £3 admission fee, is just the bargain of a lifetime. Jo is honing material for her Fringe show and I will certainly be there, her observations on relationships had all partners (including us!) looking at each other with knowing smiles. With other major acts scheduled for the months ahead this event deserves a wider audience.